Big dog or small dog? Which is best? I have small dogs. Four of them. We used to have one, then two. Then a puppy arrived and the ‘middle’ dog died, leaving me with an ancient rescue oldie and a newbie. Since then we have added another two rescue dogs, all roughly the same age. To offset this, and always needing at least one trained dog for my work, we added another puppy to the mix. As we don’t have a big garden, even though I am used to working with large dogs every day, I decided little dogs would be my choice. Ironically I know, since I can handle even the heftiest Saint Bernard, but I quite like coming home to fit all my dogs onto the one lap. I get told that little dogs are ‘yappy’, ‘small dog syndrome’, ‘rats on leads’ (how insulting), with one lady spelling out the word ‘R-U-N-T’ as I passed her at a dog show one day! Even so, little dogs have their advantages and we will always have one. I love larger dogs too. We regularly share our home with our friends’ Hungarian Viszla, a big soppy girl who thinks the tiny bed under my office desk is the perfect size for her (she gets into it as well, and snuggles right down). I regularly get my ‘collie fix’ from dogs at work, their bright, intelligent faces trying to work out the quickest way to get their own way (collie owners will know what I mean by this)! Let’s not forget the Retrievers, Spaniels, Boxers, Dobermans and German Shepherds that all have their cute moments as well as their big paws that keep us all busy. Even these are rendered tiny by the Leonbergers, Newfoundlands and Great Danes I am lucky enough to work with, too. Size doesn’t need to be a problem. A hair-trigger terrier can be more of a challenge from moment to moment than the largest of Rottweilers who are often softer than a sponge pudding. 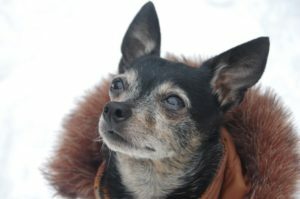 The traits people say are typical of smaller, or larger dogs can be seen in all dogs. 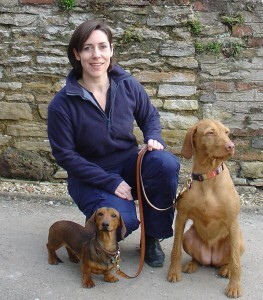 If you choose a temperament and type of dog that suits your lifestyle, size is secondary. However, if you just choose a breed or size of dog because you think image is more important, you are setting yourself up for failure. Small house, small garden, lots of kids? A big dog might be disaster for the dog’s chances. Small nervous dog or large nervous dog? The large one is more likely to be a problem. So forget the tape measure when it comes to dog choices. Pick a good LOCAL breeder, visit often, see good dog parents, unstressed, living in a home and well raised before they even get to you. Now that is what I call a bigger decision! 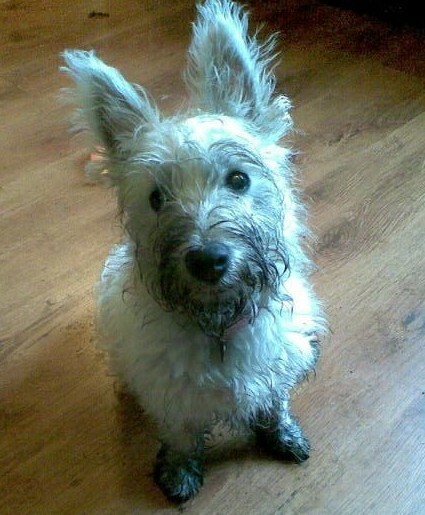 You might decide your dog needs a proper wash to get rid of every last trace of muck. This dog was once white! Bath time is a peaceful occasion, with scented bubbles and soothing music, so why is it that doggy baths lead to frustration and a room utterly awash, resembling the closing scenes of the movie Titanic? A wet and grumpy dog clinging to the edge, then making his escape and shaking every drop of water onto the curtains as he does so. Here are my tips. No need to fill up the bath! A couple of inches of water in the bottom of the bath and a plastic cup or jug will be fine for the first rinses. Use dog shampoo ONLY and check first before you use it as it sometimes requires diluting. I occasionally put a tiny drop of it into the bath water to help soak muddy paws. If using the shower to rinse, make sure you get the right temperature before you go near the dog. If it is a powerful jet, reduce it if possible or aim it at your hand first to soften the blast. Make sure your dog has a non-slip mat to stand on. You may want to lay a towel in the bath to help with this, although it may float – this might be better if you use the shower. Most of all – bring goodies! Your dog’s favourite toys, some treats, or even wiping a smear of cheese spread onto the side of the bath for him to clean off with his tongue, all make the experience a little more palatable… and a little less like he’s invited to an unexpected drowning event. it has made dog walks a rather brave experience. Not to mention their arriving home smothered in mud, we dog owners head out in all weathers becausethe dog needs exercise. I would not argue if anyone poked their head out and decided that the outdoors maintained tornado-like qualities. After all, not every dog is completely weather-hardy.This brings me onto the need for a coat. Don’t dogs already have coats? Of course, humans like to wear coats when it’s cold outside. Perhaps not those militant British short-wearers out in February when the sun shines, but most of us prefer extra layers.Just because your dog has fur or fluffy coats does not necessarily mean that he won’t feel the benefit of a decent dog raincoat. It is not for every dog, and some freeze the moment they have to wear anything over and above their collar and lead. When might a dog coat be a good idea? Young puppies whose coats have not really grown out, dogs that have just been clipped or with fine fur, or older dogs that might feel an arthritic twinge will probably be quite grateful. I’m not advocating frilly skirts or hoodies (for the dog, not you, although be my guest!) but I do think next time you are out, look at your canine best friend and think. Would he like to be just a bit cosier today? What DOES your dog want? 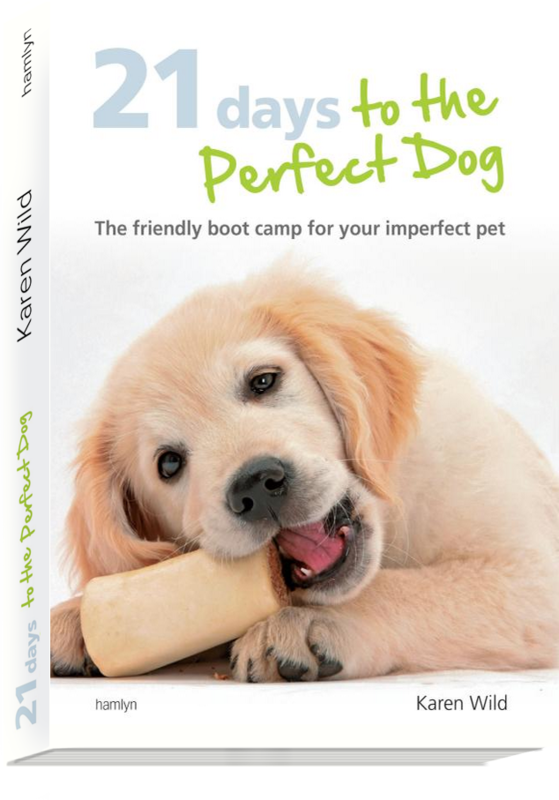 Win a copy of Karen’s book! 7 key tips to becoming the perfect dog owner – all in an easy to read photo and text format! 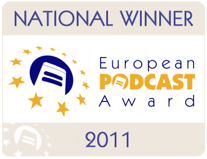 Welcome to those of you visiting from the Canine Insight interview this week. Now is your chance to win a signed copy of my book ‘What your dog wants’ – see below. 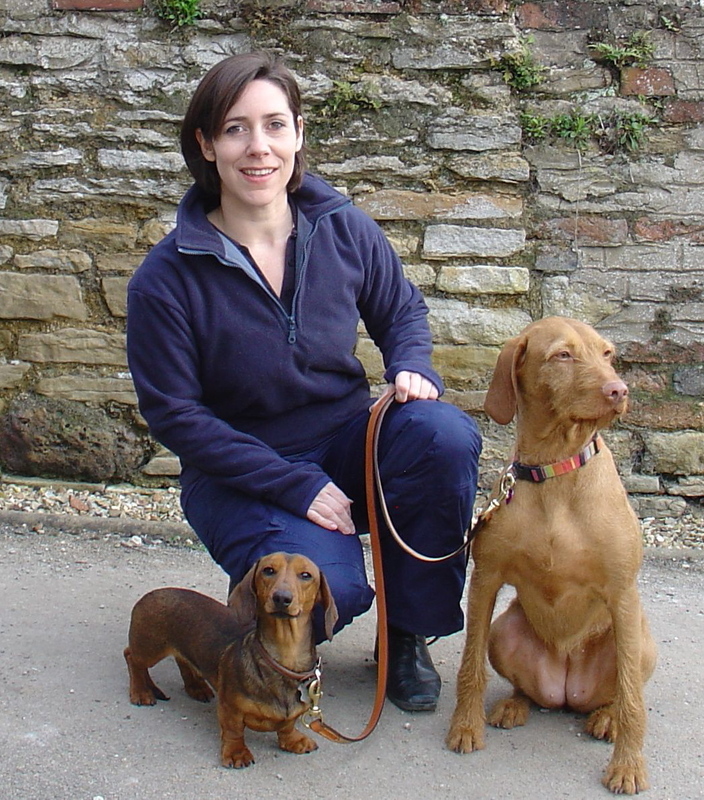 The book is written to help family dog owners that I work with every day, struggling with all the debate and confusion surrounding how to get the best from your family dog. From choosing a nice pup, maintaining his health and keeping him trained, sensible, calm and happy, I wanted to share this to owners and families in a visual, easy to dip in and out of format. There are so many training books and behavioural advice sections but these can become very indepth and hard to really get a feel for the clearest route to success. 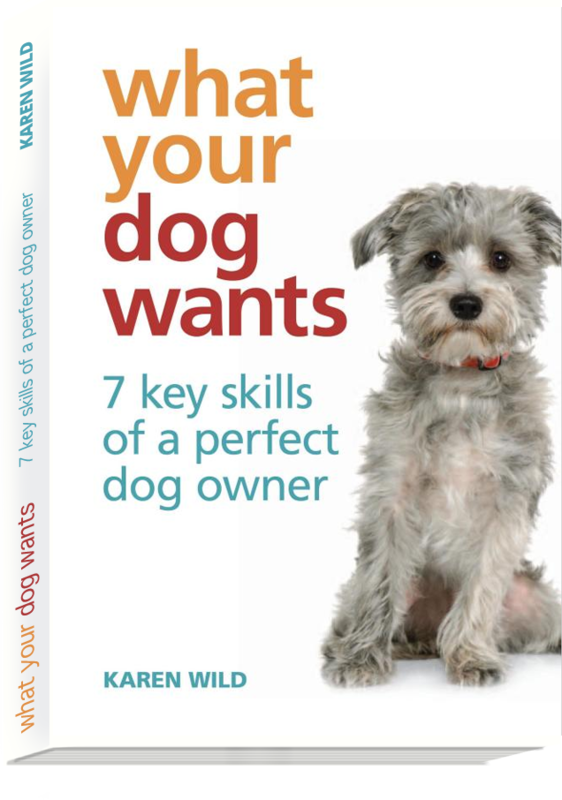 My goal with ‘What Your Dog Wants’ is to give a clear, time-is-critical overview to any dog owner without needing them to plough through reams of text. Behavioural health is one of the most underestimated features of any pet dog’s life. We make sure they have regular Vet checks for fleas and other illness, but there is a missing section. What if our dog is worried or stressed? How can we help him to stay calm and happy? Training is not the complete answer, so what can we do to help our family dog deal with the manic activity levels of the everyday. My hope is that this book is a support to new and existing owners and keeps the dog in their homes forever. Sections on Comprehension, communication, motivation, stimulation, awareness and responsibility all provide a clear visual overview of what to expect. I also rated these on difficulty with the little ‘bone’ scale at the start of each chapter! My aim was not to provide weighty references or long-winded descriptions, since a photo can speak more clearly to any owner who wants to learn more about body language signals in their dog. Nearly all of the photos are original artwork taken specifically to illustrate the behaviour you should learn to spot. They were carefully chosen after each photoshoot and represent a number of breeds. I hope that professional trainers can use the book as a supplement to teaching owners what to look out for and to give them general behaviour care that all dogs need! The book’s oficial launch was held last October at PATS Harrogate on the Collarways stand G7. 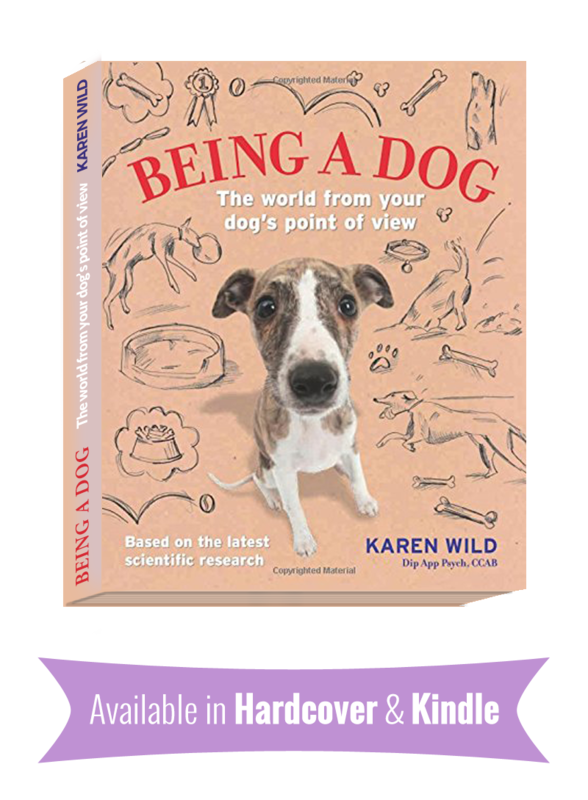 Do let me know if you are interested in stocking the book at your training club, behaviour or Veterinary practice, too. WIN! 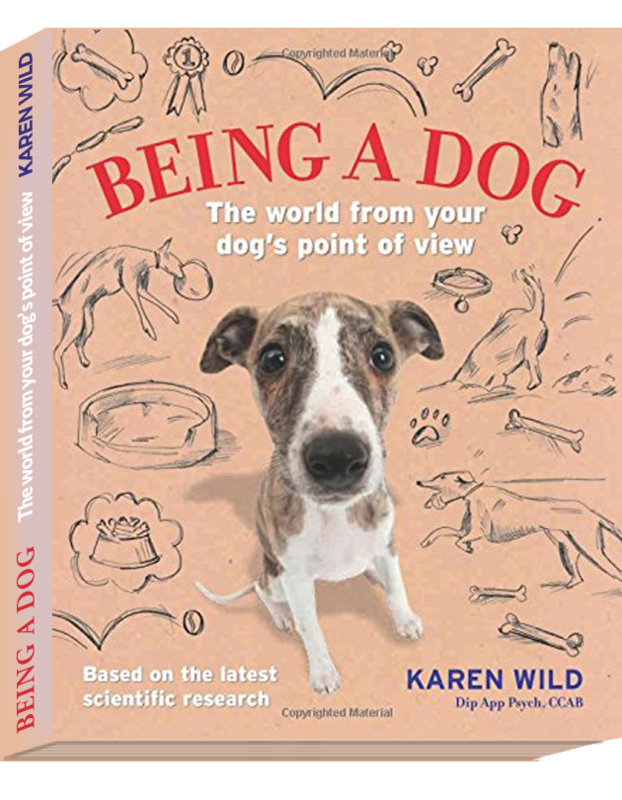 To enter our Canine Insight competition to win a signed copy, which will be drawn on 10th June 2013, please leave a comment below telling me in ten words (no more, no less) what it is YOUR dog wants. If you cannot wait, and would like to order your copy, please follow this link: Order a signed copy of ‘What Your Dog Wants’ NOW! Thanks for sharing this special event with me! Psychological Assistance Dogs UK (PADsUK) is a not-for-profit organization dedicated to bringing the benefits of Psychological Assistance Dogs (sometimes called Psychiatric Service Dogs or PSDs in other countries) to users in the UK. The role that dogs play in improving the health and well-being of their human companions is well documented. 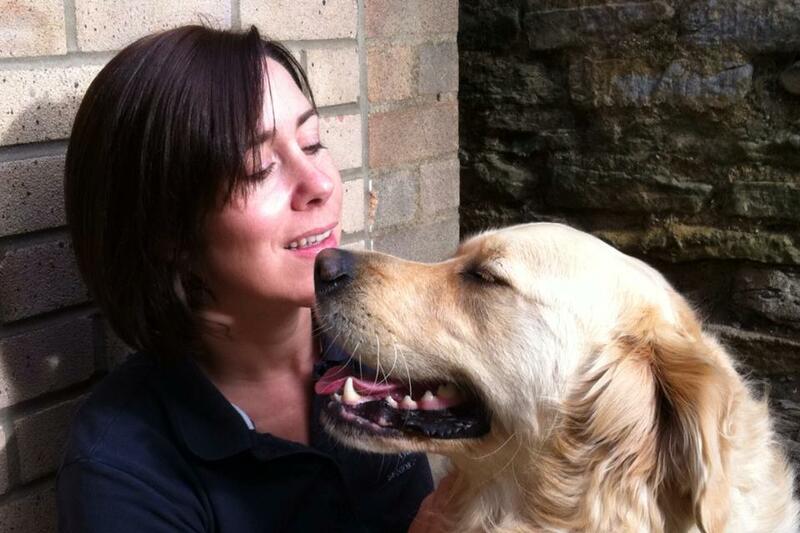 Dogs have been used for years in therapeutic settings to aid the recovery of individuals with mental health issues. However, the United Kingdom has not thus far had support for these individuals to benefit from the use of an assistance dog. We are a group of interested individuals from the area of assistance dog training, mental health, and law intent on establishing a charity for the training and placement of Psychological Assistance Dogs (PADs). PADs have been successfully used in other countries for many years now. It is evident through the work of similar organisations elsewhere that PADsUK could bring a new and positive element to Assistance Dog provision in the UK, whilst integrating beneficially with the current Assistance Dog community. PADsUK eagerly anticipate becoming positive contributors with a constructive role in the Assistance Dog community, and look forward to working with those with further expertise in this area.